Bold, audacious, remarkable and outstanding …these words describe a new Eagle restaurant as well its service. 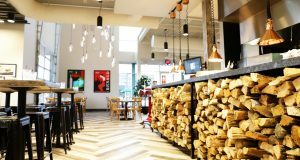 Bodacious Pig Barbecue opened on March 25, near the intersection of Eagle Road and Old State Street to the delight of barbecue fans that savor slow smoked meat. The Texas-style method of cooking in a barbecue pit, with the meat seasoned with a dry rub, is a welcome addition to Eagle’s restaurant scene. 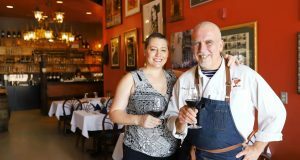 Owners Tricia and Joel Anderson, residents of Eagle for two years, owned a restaurant in Hollister, California, called Maverick BBQ for six years and were voted best restaurant in town. It won’t be long before Bodacious Pig Barbecue receives similar accolades in Idaho due to the skill of pit-master Joel and his wife Tricia, who went to culinary school in Monterey, California. Tricia advises those who want to get into business to “write a three year business plan first.” Tricia got help developing a solid business plan from the Idaho Women’s Business Center in Boise. 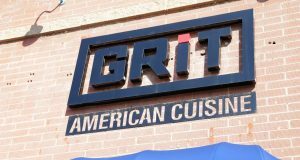 The plan helped Tricia and Joel determine how many employees they needed and how to set rates of pay, hours of operation, learn about Eagle’s demographics and project revenues, evaluate their competitors and develop a menu that would set them apart. After the business plan was complete, Joel and Tricia Anderson sat down with Sheila Spangler, Idaho Women’s Business Center Manager. Spangler, a former banker, role played a loan officer, grilling the Andersons with incisive questions about their plans. Even with their practice pitching, it took some time before they were approved for a loan. There will be plenty of positive memories created at Bodacious Pig Barbecue, a warm and inviting California/Texas-style barbecue restaurant in the heart of downtown Eagle. 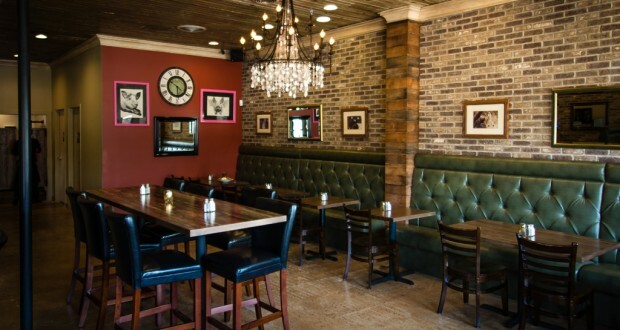 The Andersons restored the wood ceiling and used recycled lumber to cover cinder block walls. 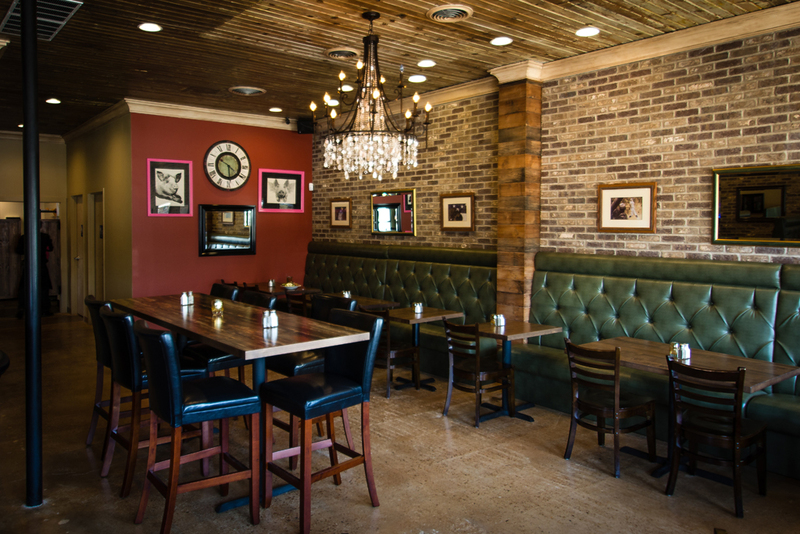 Banquette seating in dark tones and brick walls lend a bistro feel to Bodacious Pig Barbecue. The menu features Snake River Farms and Double R Ranch steaks, seafood, sandwiches, house ground burgers, salads and soups. Tricia’s favorite menu items include pulled pork, ribs, tri-tip and their specialty sides and salads, which she prepares fresh each morning while Joel mans the pits.